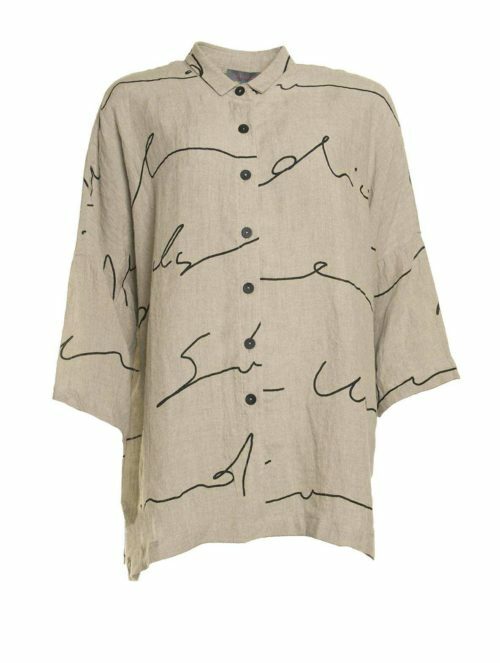 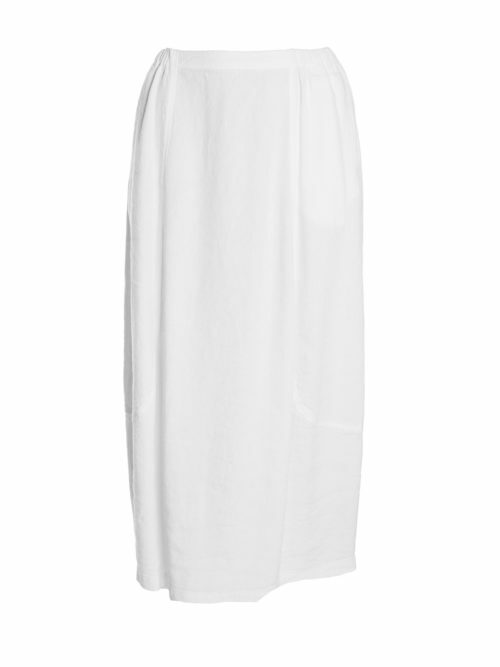 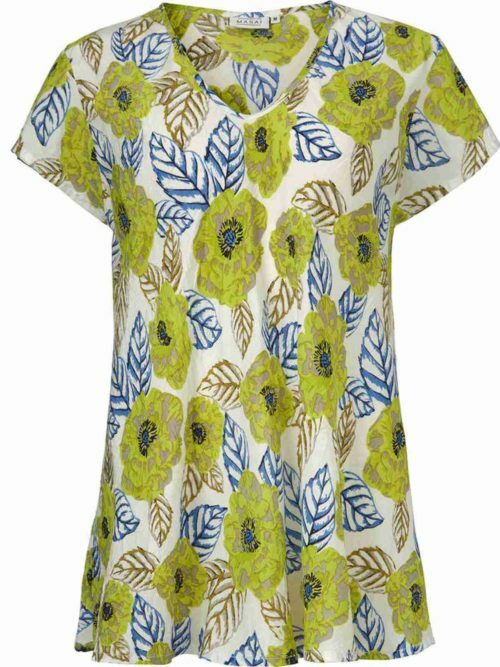 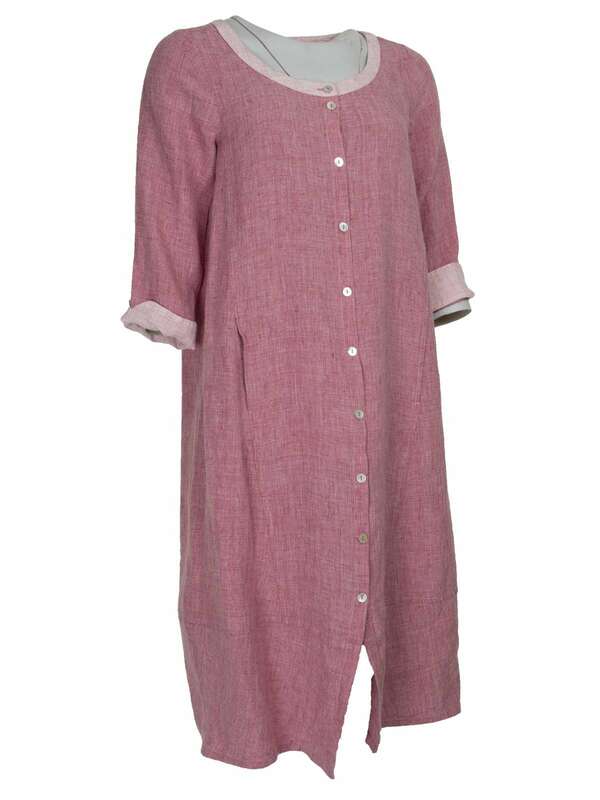 Tremendous 100 % linen dress from Sahara. 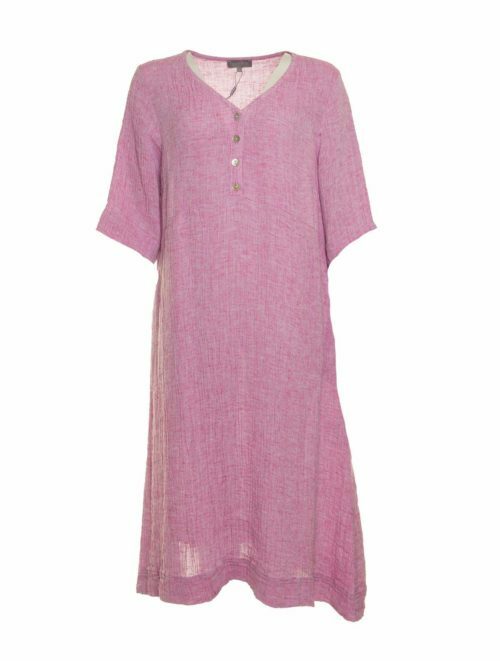 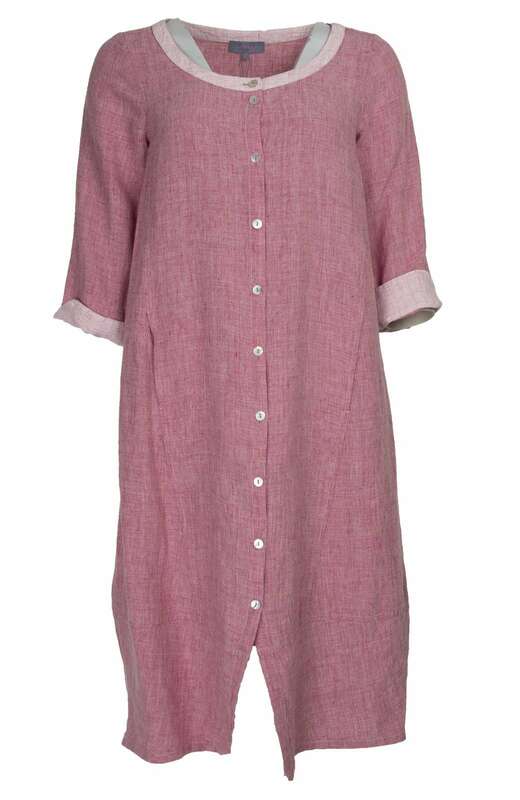 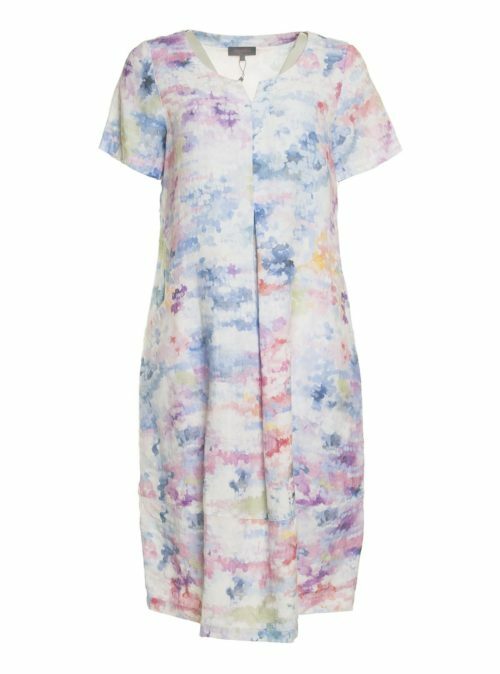 Katie Kerr linen bubble dress in a pink slub fabric has full mother of pearl button front. 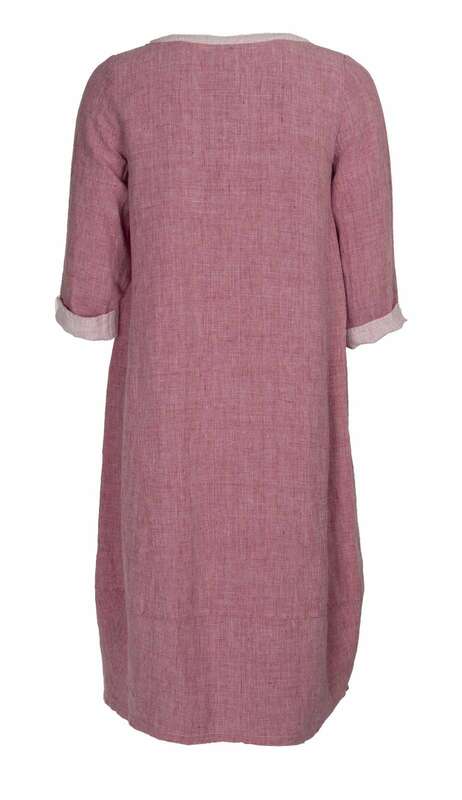 Round neck with an edge of pale pink. ¾ length sleeve with option to turn back to reveal pale pink cuff. 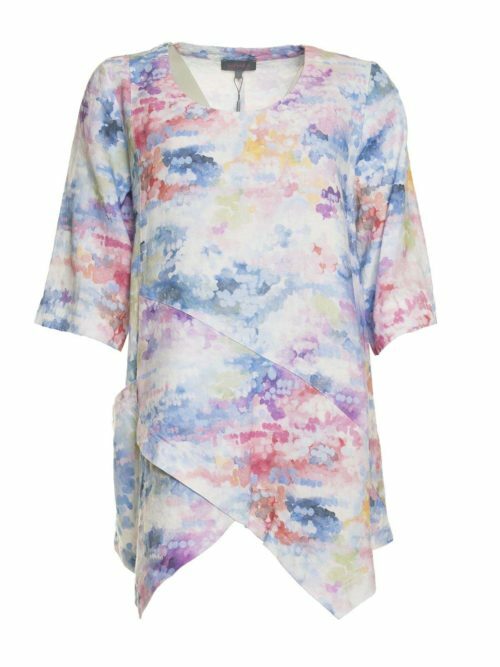 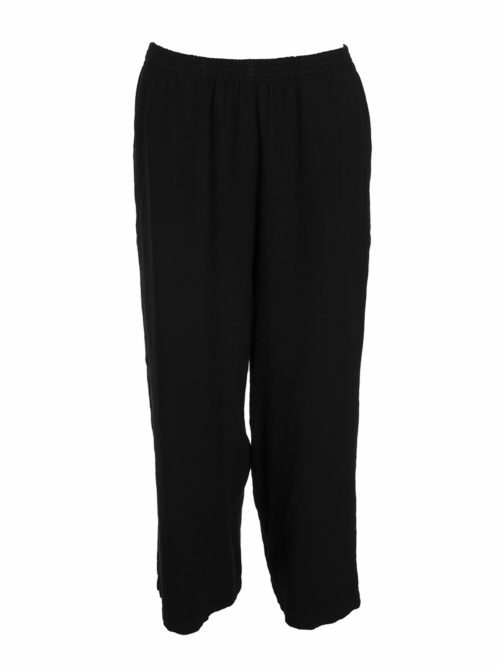 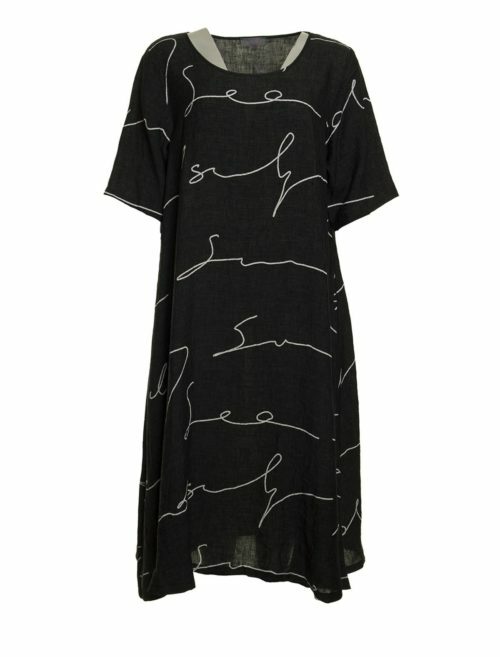 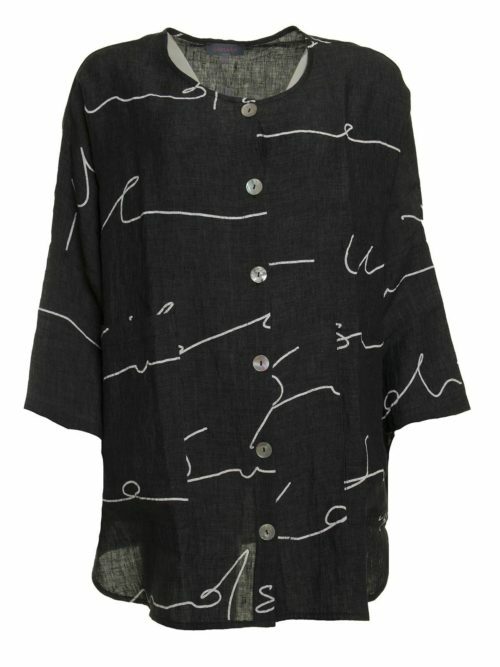 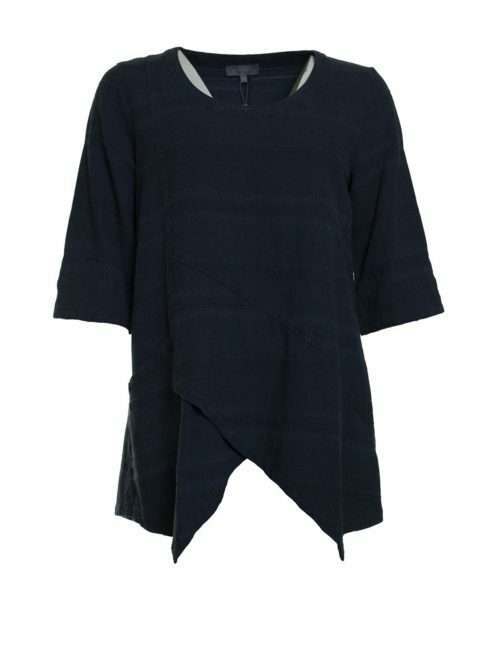 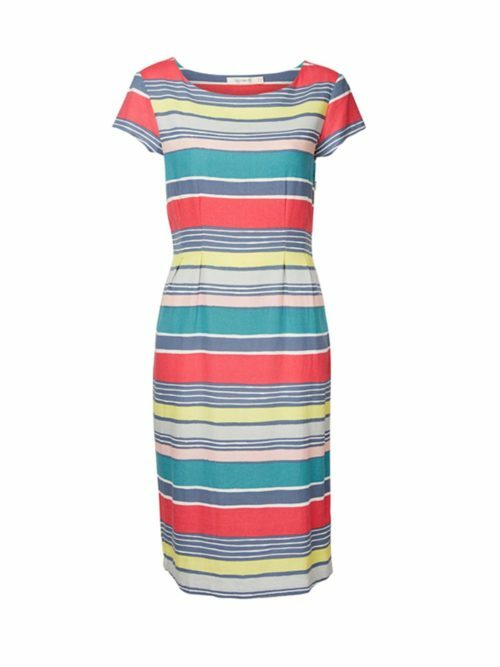 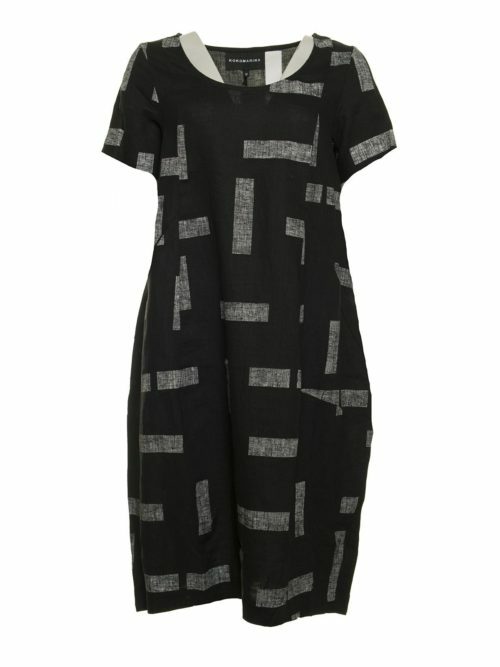 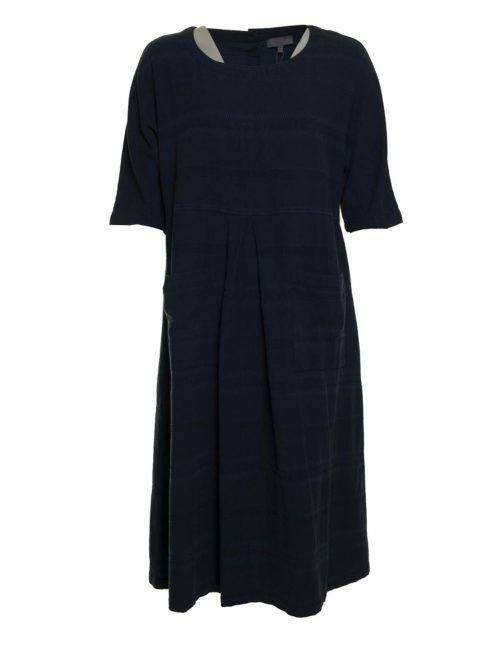 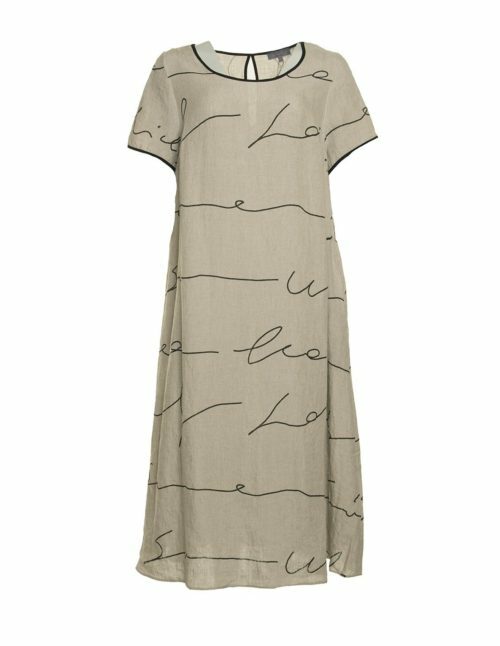 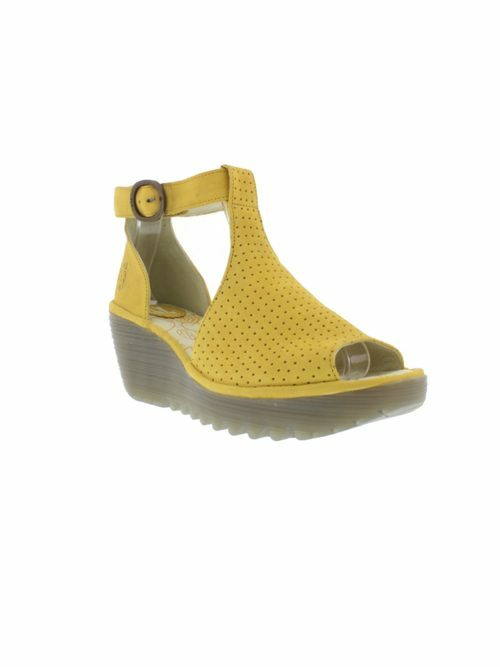 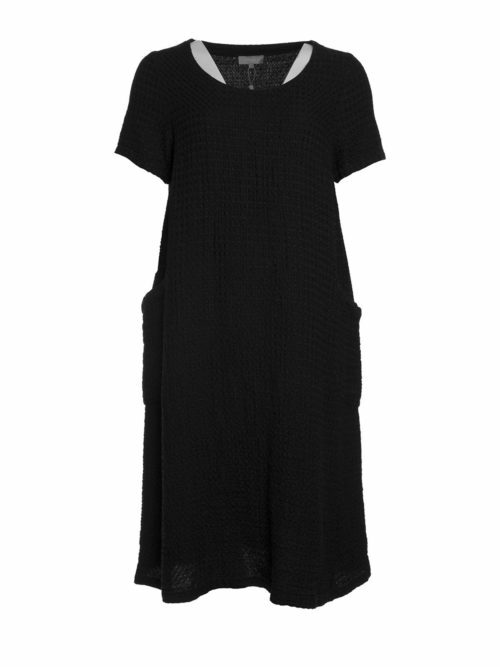 Concealed pockets on the front seam make this dress so practical and easy to wear as a coat as well as a dress.